Represent yourself as a detailer and support detailedimage.com! 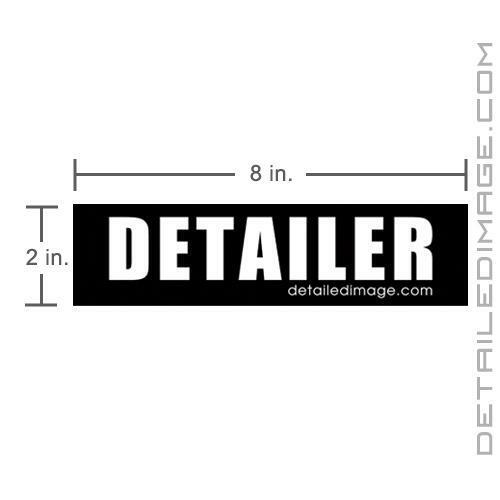 Vinyl Die-Cut Detailer Sticker also available! Represent yourself as a detailer with the DI Accessories Detailer sticker! First came the Under Armour Detailer Shirt, then came the Under Armour Detailer Hoodie, now comes the sticker! This Detailer sticker measures 2" x 8" and is printed on high-quality, 60 lb gloss coated crack and peel label, with high gloss UV protection. 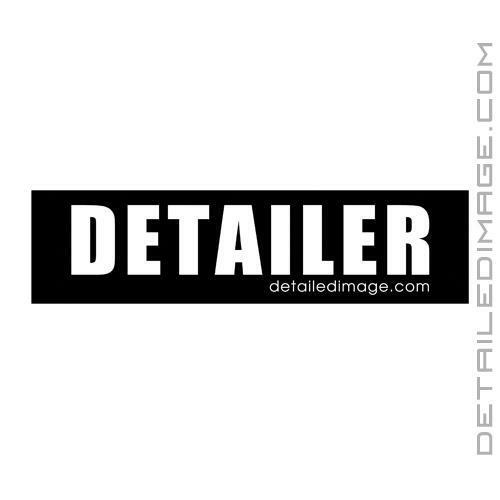 The word "DETAILER" is featured in bold white lettering with a black background. In lower case underneath, you will find detailedimage.com, allowing you to represent yourself as a detailer and support your favorite detailing site at the same time! Add this sticker to your tool box, cooler, garage cabinets and so much more! Looking for a high end sticker to show off on your car windows? Check out the Vinyl Die-Cut Detailer Sticker!